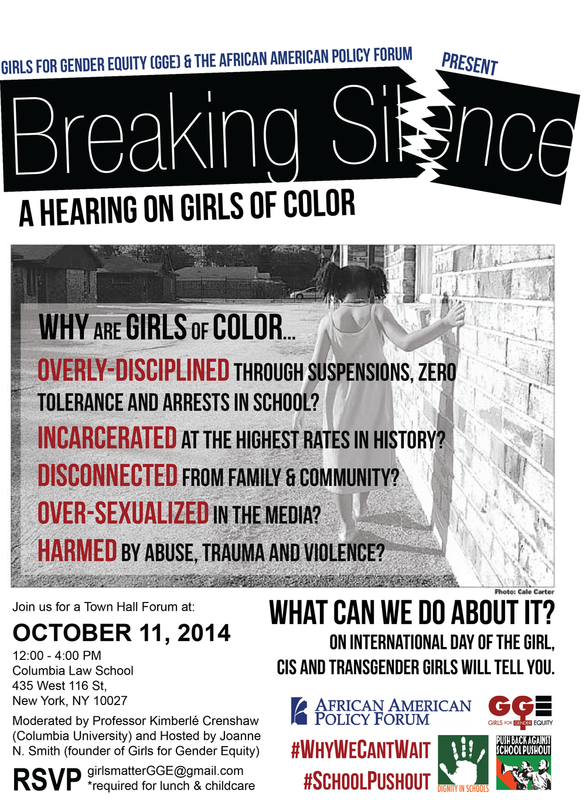 Professor Kimberlé Williams Crenshaw will moderate. Join us. Childcare and lunch provided for confirmed guests - RSVP to girlsmattergge@gmail.com.